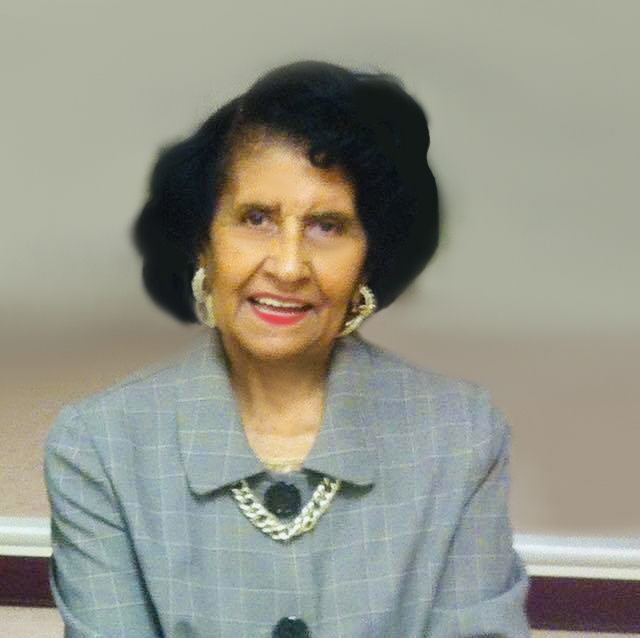 Obituary for Marion Evelyn (Hall) Roberson | Hairston Funeral Home, Inc.
MARION HALL ROBERSON passed away peacefully on November 20, 2018 at the age of 87. Born on June 2, 1931 to the late Samuel Lamar Hall and Ethel Johnson Hall, she was a lifelong resident of Salisbury, NC. Marion spent her early childhood in the Hawkinstown Community and received her grade-school education from the public schools of Salisbury, NC. She was a graduate of Dunbar High School in East Spencer, NC, where she met, fell in love with, and married her high school sweetheart, Charles Phillip Roberson (deceased). She continued her education at Mitchell Community College and The Lee Institute for Real Estate. For many years, Marion took pleasure in being a loving and devoted homemaker and wife to her husband and mother to their two daughters. After her daughters reached college-age, Marion began working at Security Bank & Trust Company in Spencer, NC. A few years later, she joined her husband as Co-Owner and Chief Operating Officer of the first black-owned real estate company in Rowan County—Charles Roberson Realty, Inc. Marion, known to be an advocate for prospective tenants who fell slightly short of the conventional monetary qualifications, was instrumental in assisting lower-income individuals with obtaining housing. Marion was a member of St. Luke Baptist Church in Salisbury, NC, until she joined New Hope A.M.E. Zion Church in Spencer, NC, after marriage. As a dedicated parishioner of New Hope, she served on the Stewardess Board, as a Deaconess, as a member of the Senior Choir, as a member of the Women’s Home and Overseas Missionary Society, as a Life Member of the Lay Council, and in a plethora of other capacities. She was most proud of her function as Chairperson of the Organ Ministry, where she spearheaded the purchase of the church’s first organ using S&H Green Stamps. She was selected New Hope “Woman of the Year” in 2006. In the community, Marion was a member of the Modern Wives Social Club and served on the YMCA Board of Directors. In addition to her husband, Charles Phillip Roberson, Marion is predeceased by her parents; her sisters, Beatrice Hall Blackwell and Ruth Hall Stoner; and her brothers, John Frank Hall and Henry Lewis Hall. Marion is survived by her daughters: Drucie R. Moss (Roland) of Salisbury, NC, and Saundra R. Martin (Carl) of Salisbury, NC; her grandchildren: Brian Moss of Belmont, NC; Christian Moss of Passaic, NJ; Jasmine Moss Thomas (Khary) of Reisterstown, MD; Simone Roberson Martin of Columbia, SC/Atlanta, GA; and Carla Summerlyn “Summer” Martin of Atlanta, GA; ten great-grandchildren; two great-great grandchildren; a host of nieces and nephews; countless other relatives; and friends. To many, Marion will be cherished as a mother-figure, a mentor, and a friend. She will be greatly missed! Arrangements: Funeral service will be held on Saturday, November 24, 2018, at 1:30 p.m. at New Hope A.M.E. Zion Church, with Rev. Dr. Debra Hall officiating. Visitation will be prior to the service from 1:00 p.m. to 1:30 p.m. at the church. Burial will be held immediately following the service. Memorials: In lieu of flowers, donations can be made to New Hope A.M.E. Zion Church and the Alzheimer’s Foundation of America. Hairston Funeral Home, Inc., is serving the Roberson family. Online condolences may be sent to: hairstonfh.com.